Ah yes, Twin Peaks — David Lynch's famous psychological thriller. It's such a shame it never got a video game. 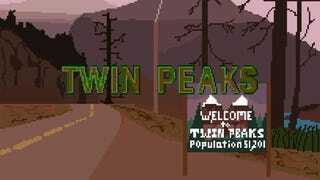 Now we just need Dale Cooper's Black Lodge dream done in the style of a Japanese dating sim.